In a bowl, combine the granola, figs, coconut and ginger. Put the pear syrup, oil and sugar into a small pan. Heat gently until the sugar dissolves, mix into the granola. Transfer the mixture to the prepared tin and press down. Approx. 30 mins. in the centre of an oven preheated to 160°C. Remove from the oven, leave to cool on a cooling rack. Melt the chocolate in a thin-sided bowl over a gently simmering bain-marie, stir until smooth. 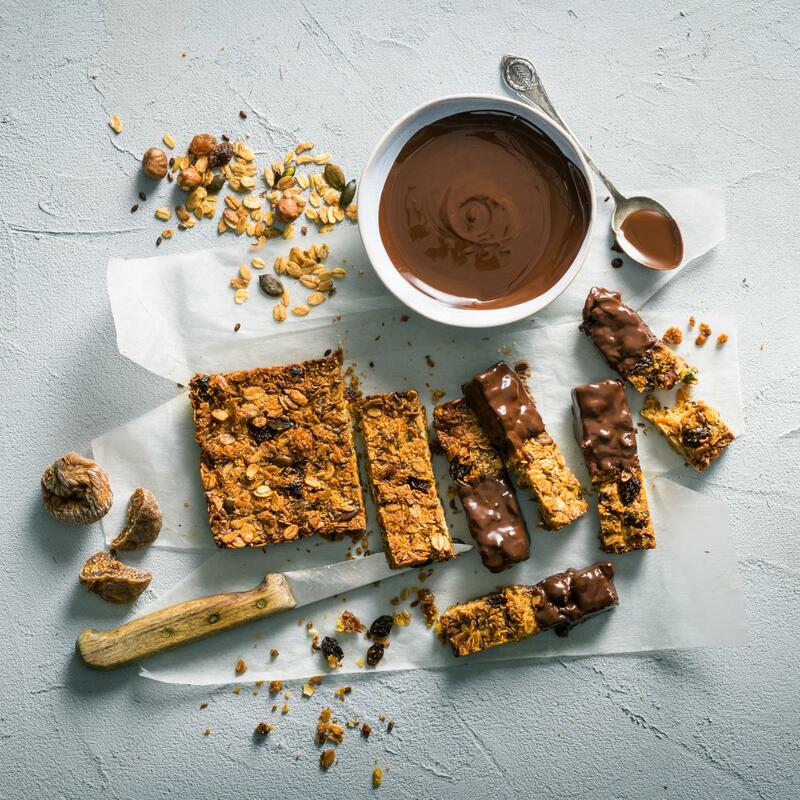 Cut the granola bar mixture into 8 pieces, dip up to half way into the chocolate, allow the excess to drip off, allow to dry on baking paper. Store in a dry, airtight container for approx. 1 week.